When it’s time to rest, I find a relaxing chair! 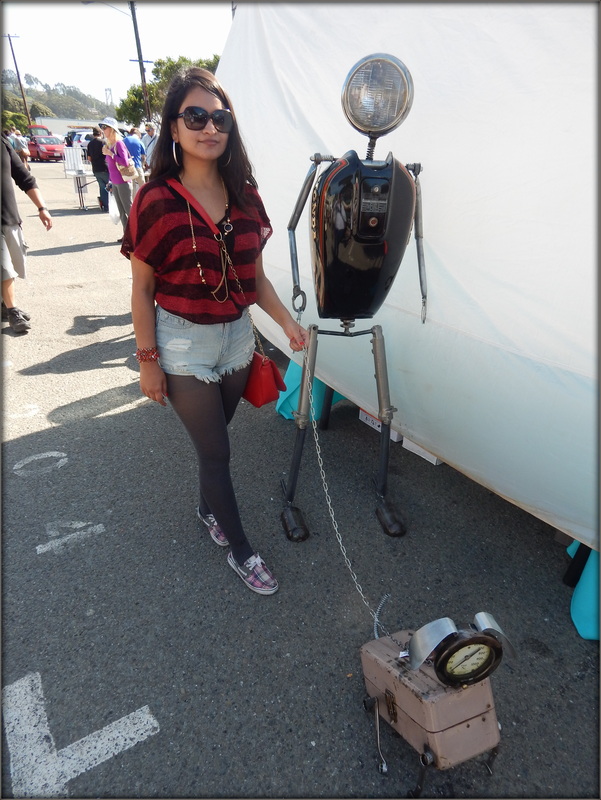 Robot and his pet dog. More Vintage stuff to buy. Young or forever young (there is no thing as old in Fashion world) everyone loves Islands and if you live in a Gorgeous city of a beautiful country, you can reach to an Island with not so long drive. 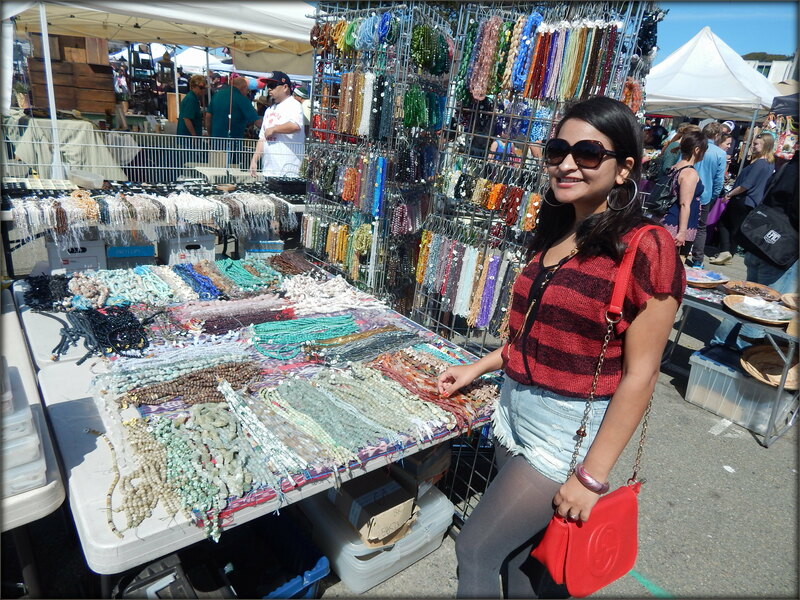 Treasure Island is located about 6 miles away from San Francisco city and is famous for its flea markets. Just like everybody else, I love Islands and any market selling vintage clothes, accessories and plenty of food to mention a few things! As we reach the Island at around noon, we had to look for parking which wasn’t very difficult to find. I advise you to reach here early to avoid parking issues, the later you reach tougher it gets to park your car but this is something SF native’s are already aware of! 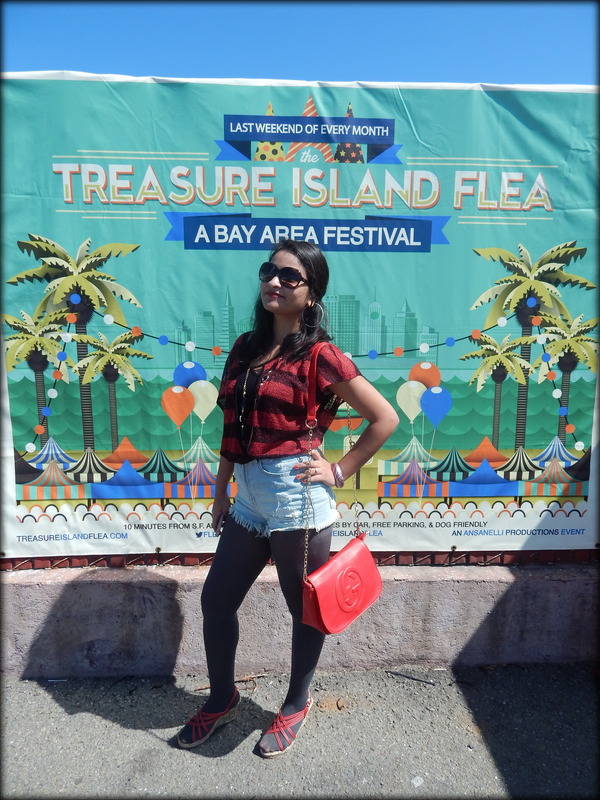 Even at around noon, Treasure Island had an amazing weather and its beauty surrounded by palm trees, sparkling sea and Flea market brought a huge smile on my face. As it was lunch time, we first jumped into the queue of a Food Truck. There were all famous Food Trucks that you usually find in Off the Grid events or daily on city’s street. Being a big time foodie, I bought a huge plate of marinated fries and a Mushroom Burger on the side. 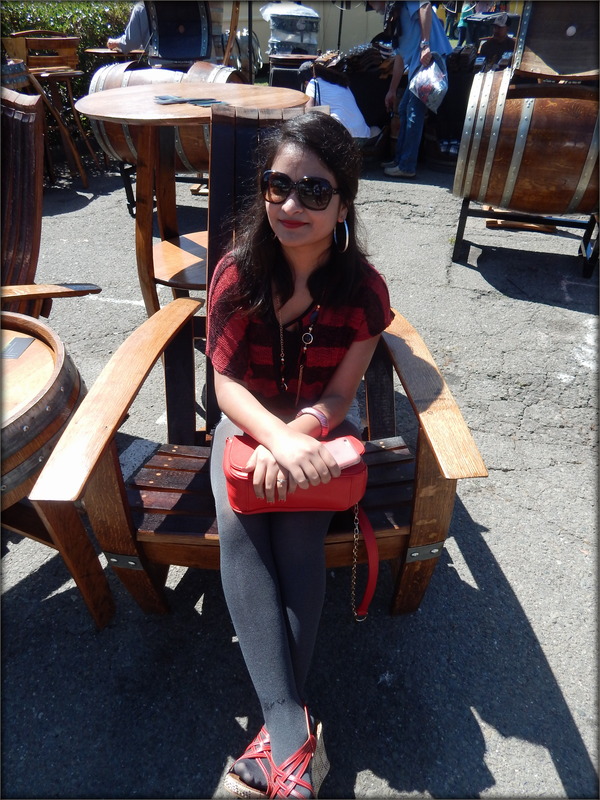 After finishing off my meal, I got myself Strawberry iced lemonade and was headed to the stalls in Flea market. 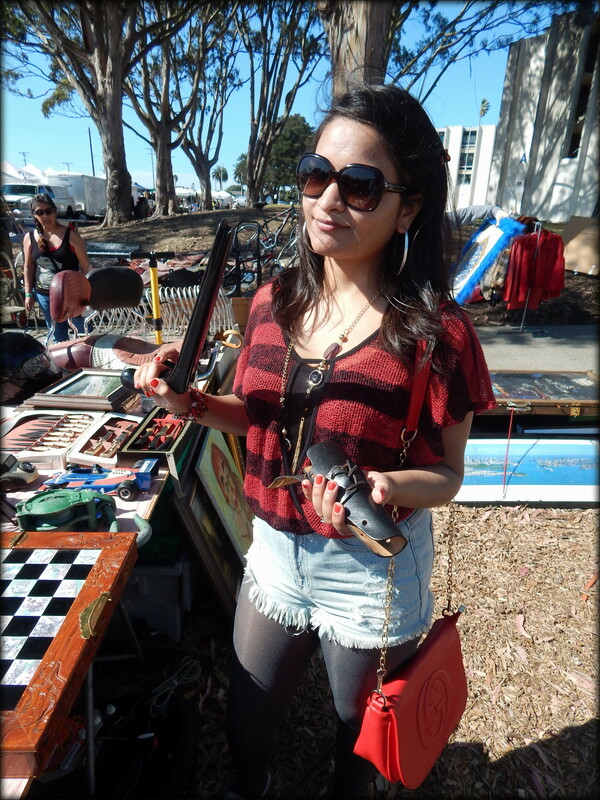 The Flea market was full of more variety of things than what I had expected. There were beautiful tiny plants, expensive to cheap accessories, handmade accessories, beach clothes, high-waist shorts, daily – occasional clothes. But, one thing that was a major point of attraction for me and other travelers was Vintage clothes/accessories/bags/footwear. The brightness of retro clothes and smell of pure leather bags played several 80’s movie in my mind. I wished to buy everything from the market but I ain’t Bill Gates so I bought couple of leather bags, accessories and plants. I tried to dress Vintage in my last blog and used one of the leather bags there. Enjoy delicious food from your favorite food Trucks: Be mentally prepared to see huge queues outside all the trucks! A climate that will excite you more: I don’t need to say much about San Francisco’s whether, I believe it is the best climate throughout the year that I have ever lived in. Relaxing place to sit by the sea and spend time with your loved ones. 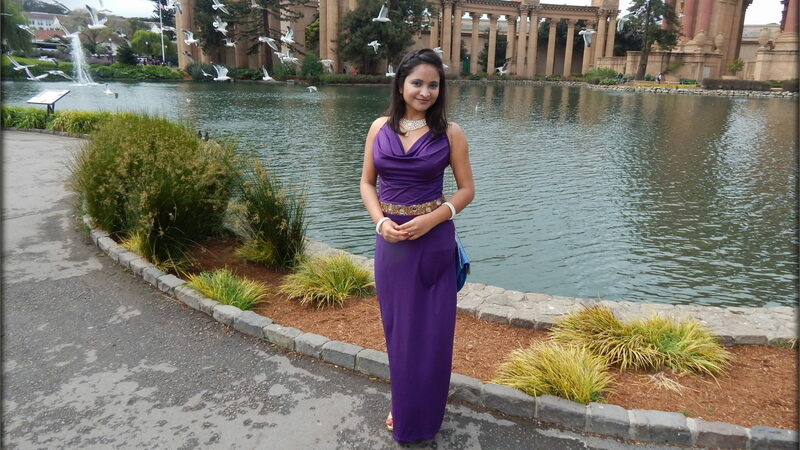 All in all, Treasure Island is a great place to visit if you are in or nearby SF. I hope I was able to take you on a tour of this gorgeous place through my words and pictures! See you until my next blog.